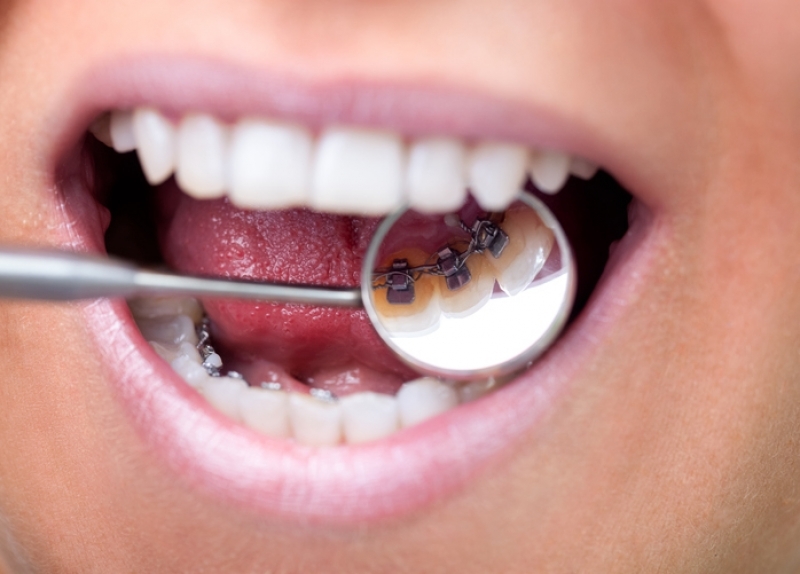 These days, undergoing orthodontic treatment no longer means being stuck with with large, metal contraptions attached to your teeth for months, or even years. New developments in the field of orthodontics have made it possible to straighten teeth in a much more understated fashion. In fact, depending on the type of treatment you choose, you may find that people will rarely notice your orthodontic appliances. Lingual braces are are great example of this. While they look and act more or less exactly like standard metal braces do, they feature one important benefit over them: lingual braces are placed on the inward-facing sides of the teeth, or what you might consider the “backs” of the teeth. This means that your teen’s lingual braces will be facing into his mouth, rather than out, hiding them almost completely. Lingual braces work just as well as normal braces do, and they also come with the same hygiene routines and food limitations. Their benefits are mostly social and aesthetic. For instance, if food gets stuck in them, no one will be able to see it. Your teen's smile will look braces-free when she smiles in pictures, so that school photos during this time won’t be a constant reminder of her orthodontic treatment. In short, she won’t have to worry about her braces in social situations; they simply won’t be noticeable. If you and your teen are starting to look at orthodontic treatment options, please feel free to get in touch with any questions you may have about lingual braces. Our friendly Langley dental team would be glad to help!